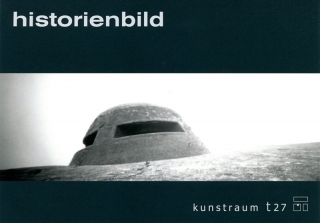 From 11 December 2010, Berlin-based gallery Kunstraum t27 is presenting the group exhibition “Historienbild” (historical painting) within the six-part exhibition series about the various genres of (not just) painting. “Historienbild” has the subject of dealing with history, and interestingly all the works directly or indirectly address war. Chris Dreier and Andreas Seltzer will show the downright enchanting project Verdun on the Battle of Verdun, made with a pinhole camera. From the latter, one can see additional new works, together with more artworks by Thilo Droste, Barbara Duisberg and Henning Kappenberg.